This bouquet-style casket spray with its red roses will express your deepest love most passionately. 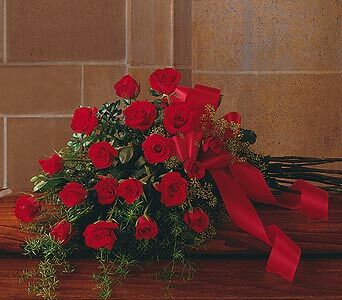 One casket spray arrives decorated with eighteen red roses tied bouquet-style, accented with crimson ribbons. Page loaded in 0.2336 seconds.